Ediblelinks is an award-winning food hub based in Atherstone, north Warwickshire. It uses food surplus to reduce poverty, stress, and diet-related ill health. They run a food bank and provide community groups with food enabling them to help more local people. Ediblelinks have a range of volunteering opportunities for individuals and teams. These include helping with the day-to-day running of the hub by working in the warehouse, acting as a driver's mate and helping with stock rotation. “I recently took the opportunity through Civil Service Local to volunteer at a local food bank, EdibleLinks, with a couple of my colleagues. I didn’t know what to expect when I arrived, as we were only told to wear comfy clothes and sensible footwear. We were met by the manager, who gave us a tour and explained that they had a contract with a local supermarket who delivered crates of fresh produce and shopping items. They use this stock to supply local schools, community groups, and charities, enabling them to offer vital support to the community. The support ranged from meals for the elderly to free Breakfast Clubs for school children. On top of this, they also provide food parcels for families and emergency parcels when needed. Our time was spent unloading the morning deliveries and putting it on the shelves, putting aside any items not suitable to be issued. 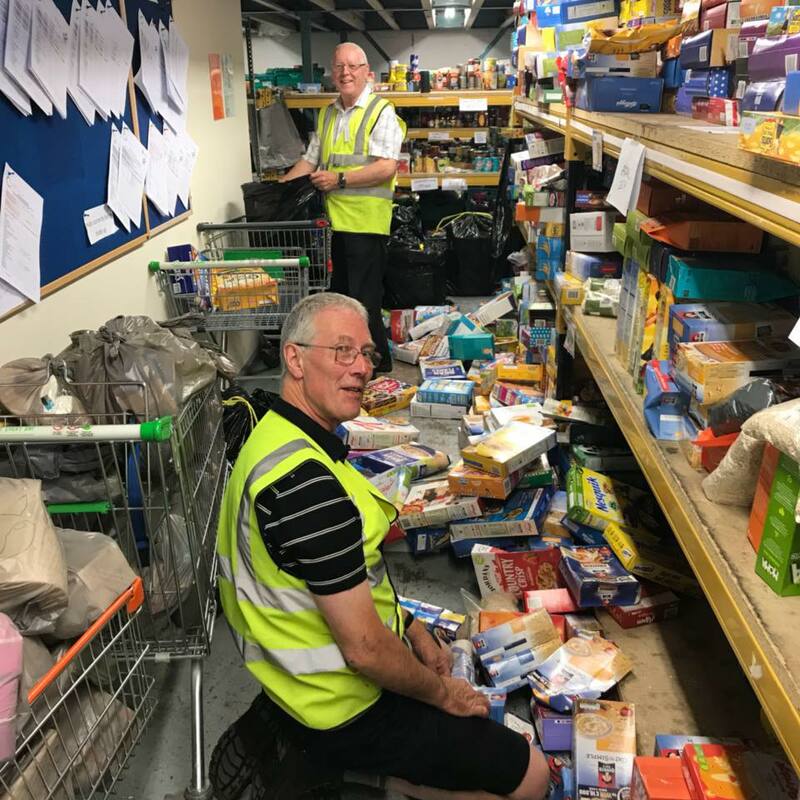 We helped tidy and organise the shelves and generally supported the volunteers there in delivering to the local community. I really enjoyed the opportunity and felt I made a real difference. It was also really interesting to see the range of products donated by the supermarket. If Sarah’s experience has inspired you, please have a look at our October News Bulletin for details of a range of volunteering opportunities including Ediblelinks, Grantham FoodBank, and Great Barr Foodbank.